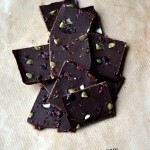 Home / Desserts / Healthy Cranberry Orange Chocolate Bark, and An Exciting Giveaway! 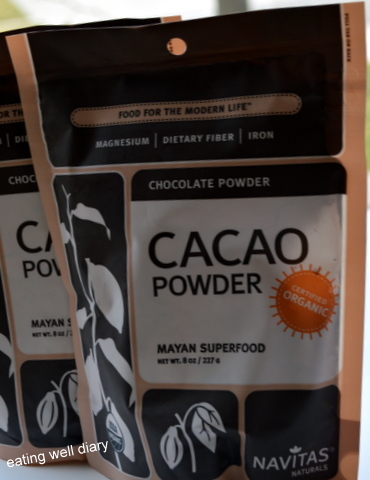 What is the difference between cacao powder and cocoa powder? After learning this fact about cacao, I have only been using cacao powder in my home. Regular chocolate milk can be made with almond milk, cacao powder and a sweetener, gently heated on the stove. Tastes rich and wholesome, and you can enjoy it knowing that it is better for the body than any other type of chocolate milk. 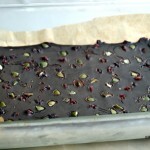 I know that you want to try out this simple chocolate bark recipe. I take this opportunity to host my FIRST GIVEAWAY ever! I have two brand new 8 oz. packets of Navitas cacao powder to give away! This is open only for U. S (mainland) residents, since I will be personally mailing it to the winners, selected by a random pick. What do you need to do to enter this giveaway? Just enter your email address in “Subscribe to the Blog via email”, and confirm by following the link in your email inbox. NO SPAM, I promise! If you are already an email subscriber, just leave a comment on this post. Simple as that! This giveaway will end at 8 p.m on Monday, March 7th evening (E.S.T.) The lucky winners will get the packet of cacao powder by mail from me! Look at these easy instructions and tell me that you do not want to try and make it soon! natural orange extract- 1/4 tsp. 1. Powder coconut palm sugar using a spice grinder. Make it as fine in texture, as possible. 2. Melt coconut oil and measure out 1/4 cup into a saucepan. 3. At low heat, add cacao powder, powdered sugar, orange extract and salt. 4. Stir till combined. Taste and add more sugar, if necessary. 5. Pour it into a flat dish lined with parchment paper, add the cranberries and pumpkin seeds on top and stick it in the freezer for a few hours till set. 6. Score lines with a knife, carefully cut into pieces and enjoy cold. It tends to melt at room temperature, so it needs to be refrigerated. I am so excited to be taking these treats to Fiesta Friday #109 co-hosted by our experienced blogger buddies Josette @ TheBrook Cook and Lily @The Sweet Baker. 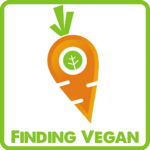 Also sharing this at the Plant-Based Linky #78 over at Urban Naturale by Deborah, Real Food Fridays #129 at organic4greenlivings and FoodieFriDIY #85 at a Dish Of Daily Life. 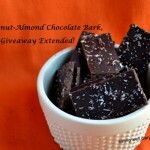 Coconut Almond Chocolate Bark And Extending The Giveaway Deadline! 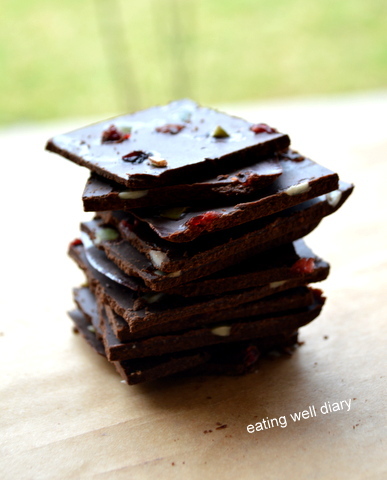 45 thoughts on : Healthy Cranberry Orange Chocolate Bark, and An Exciting Giveaway! What a fabulous and good looking bark Apsara! Love it!! I am entering for this give away :). May be you can throw some light on thrive market more :). Great minds think alike, Apsara. I just made white chocolate and Oreos bark. However, it is not as healthy as yours. Looking Yummy! Will definetly try this. You really inspire me to go for Healthy Choices. Thank you. Awesome, Dharini. Thank you for your support. This bark sounds delicious. I have to go look for a good orange extract. Looking forward to making and savoring this. Thank you, dear. Yes, I hope orange extract is available, or may be even 100% orange oil would work. 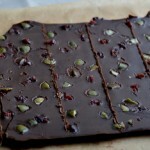 Love bark, I find it a satisfying and healthy option after a meal. I usually use pistachios and cranberry. I’m sure the orange flavors came through beautifully too. This looks yum and guess healthy too.. Are these CFGF?? Yes, they are certified GFCF! love this idea!!! chocolate + orange together sounds delicious. Thank you so much for visiting and the lovely compliment, Dixya. Yes, Lily, they definitely satisfy my craving. Thank you for co-hosting FF! thank you, Sheetal. Hope you make it and like it as much as we did. WOW, they looks so gorgeous and delicate…have to try these!! 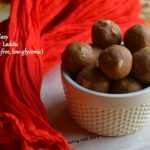 🙂 Great recipes, Apsara! thank you, Sonali. Do try it; this even qualifies your standards of quick and delicious! That is some yummy looking bark! Love the flavor combo! Thank you so much, Michelle. Loved to bring these to your blog hop. Looks wonderful! I’ve been using Dagoba organic cacao powder, but recently learned their chocolate, like so many other brands, is laced with lead. I’ll check for Navitas brand on the list that came out a week or so ago. Thanks for a lovely recipe. Glad you like this. That’s true, even I’ve read reports that many chocolate contain lead; was not aware that even cacao powder was suspect. I love learning something new! I didn’t know the difference between cacao powder and cocoa powder- and I’ve never been introduced to Thrive market! This dessert sounds wonderful. I love chocolate and orange together. Yum. Thank you so much for the compliments. Josette. Means a lot coming from an experienced cook like you. Thanks for co-hosting FF too! 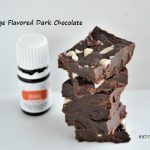 Wow this sounds tasty and healthy with the cranberries, orange flavoring, and the tantalizing dark chocolate. Thanks for sharing the giveaway with us too.Thanks for sharing on Real Food Fridays. Pinned & twitted! Thank you so much for the opportunity to link up, Marla. So glad that you like this recipe! It truly is easy, right? Thanks for the comment and good luck! Yes, it does look so delicious and I do enjoy eating healthier deserts! 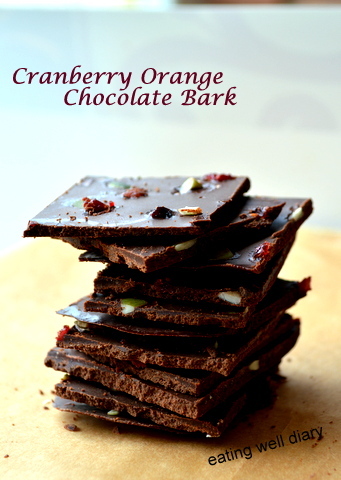 My friends and family will love this healthy Cranberry Orange Chocolate Bark–and so will I. I have to make this delectable recipe soon! Thanks for sharing this at the Plant-Based Potluck Party. I’m pinning and sharing! I made this combo of ingredients before too but sometimes add chopped nuts, chopped berries etc. 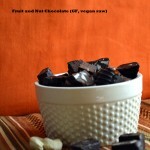 Sometimes, I used carob powder instead of the cacao. I also make home-made chocolates using cacao butter, so the chocolate doesn’t melt at room temperature or when it gets hot.